Anyway you can try this for fun! 1. rhel7 has ecryptfs disabled in the config file, although the ecryptfs source code still in the kernel source directories structure. make: `arch/x86/purgatory/kexec-purgatory.c' is up to date. * older kernel that doesn't have the superblock wrapper. This is a fix that will not be proposed to upstream cause it is not compatible with other kernels; instead it is a patch to make ecryptfs work on Rhel7 only. Error mounting eCryptfs; rc = [-22]; strerr = [Invalid argument]. Check your system logs; visit <http://ecryptfs.sourceforge.net/ecryptfs-faq.html>. 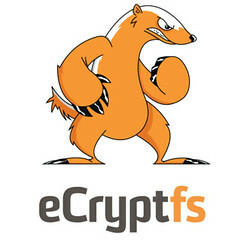 Although there is an error, ecryptfs can be mounted and a basic regression test works. There are still some warnings that need to be fixed, however a quick ecryptfs regression test works as described in step7. No one has yet thanked you. Let me be the first. Thahk You!